A lot has changed since the birth of the internet. Where once a company only needed a website to gain attraction, is gone. If you want to keep up with the world, you have to have solid information to give your clients and potential buyers. In the past, salespeople and the store's employees were the experts. They held all the information a buyer needed to sway them to purchase products. But today, with social media, websites, and the such, the tables have turned the buyer into the expert. 60% to 90% of the buyers online guide themselves through the sale funnels that are created. This is before they ever speak with the company's representative or brand. And the shoppers online research the products they want before ever stepping a single foot inside a store. One thing hasn't changed though, customers want the best bang for their buck. With the internet open for business 24/7, they can do all the research and compare pricing before even buying a product. According to statistics, the average customer will spend 79 days sifting through content before ever purchasing an item. So what does this mean for your company? In order to keep up with the buyer-driven world, you need solid, reliable content for your website or blog. With solid, fact-based content, your shoppers are more likely to purchase from you than from your competition. But you have to ensure that the information you are giving to the consumer is what they want and not fabricated just to make the sale. Besides just giving out information to your prospect, content offers "Brand Awareness." Brand Awareness doesn't happen overnight. It is a strategy used that increases people's perspective of your company over time. As more people look for solutions to their problems, they will begin to see your brand over and over again making you the expert to go to for solving their problems or fulfilling their needs. In turn, your company and brand will be noticed as a leader in your industry or niche. Plus, content done right, is an ever-green. Meaning that a since post will generate traffic over the years rather than something that is good for the moment. After all, times change, but if your content is written in a way that surpasses time, you will hit those prospects again and again no matter what year it is. There are two ways to get high-quality content. If you write it yourself, you run the risk of wasting valuable time that could otherwise be used for managing your business. Not to mention the fact that a company's presence online is like the clouds in the sky. One day you could be raining due to an article on your blog gathering people to you. And the next it is clear skies and you wonder where everyone went. Without fresh content coming in, you run the risk of losing the momentum you built. Getting someone to write your content is the fastest and easiest way to keep up with the online crowds. Your content marketer can pump out daily blog posts, or articles for your website that are filled with just the right information and quality that you need to keep your audience engaged while keeping your brand in front of your prospects at all times. One of the greatest tragedies of the online world is that too many businesses neglect their blog and website content. Having just a few posts will not drive traffic to your site. You need new material to stay engaged with the marketplace. Statistics show that a single blog post each week keeps your current clients engaged while the SEO (search engine optimization) pulls in new buyers. Over time, your brand will become the go-to site for information that your prospects wants. There are loads of ways content can help establish your brand and business as an expert. Blog posts are one simple way, but they require weekly attention. Plus, you have to understand that blog posts should be cross-promoting other content on your site to keep your audience on your website longer. After all, the longer they stay, the higher the conversion rate. You can also offer your audience with easy to follow cheat sheets that highlight other products your audience may be interested in. Then there are white papers and reports that you can list on your site or blog to show people the information they would otherwise research themselves. The potential to gain a wider audience grows exponentially with the more you can offer your audience. Content is the bridge from a potential customer to becoming a buyer and getting an ebook published with your name and brand will reach thousands of people. Ebooks are an excellent way to show you are an expert in your niche. But writing thousands of words for an ebook can be overwhelming and time-consuming. Get it done quickly and efficiently by hiring a writer to do it for you. And never underestimate the power of info graphs. With the popularity of social media sites like Pinterest, Twitter, and Facebook, info graphs can be shared effortlessly and is a great way to build your brand awareness quickly. But all this content takes up time and energy that you as a business owner could be using on other projects. That is why finding the right team of writers to help you is essential and vital to your business. So, do you have a plan in place that will grow your brand, build your audience, and get you more sales? If you are looking to keep up with the “expert” buyers that are shopping online, you need content to give them. Don’t leave money on the table due to poor content. 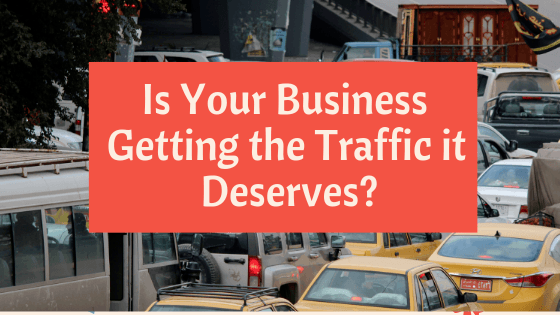 Get the traffic you need to stay ahead of your competition. After all, your competition knows that content is gold, and without content that is engaging and entertaining, your site will be dust. So what are you waiting for? Hiring content writers for your site has never been easier. After all, you have other things to focus on growing your business. Leave the writing to someone else and get more done.